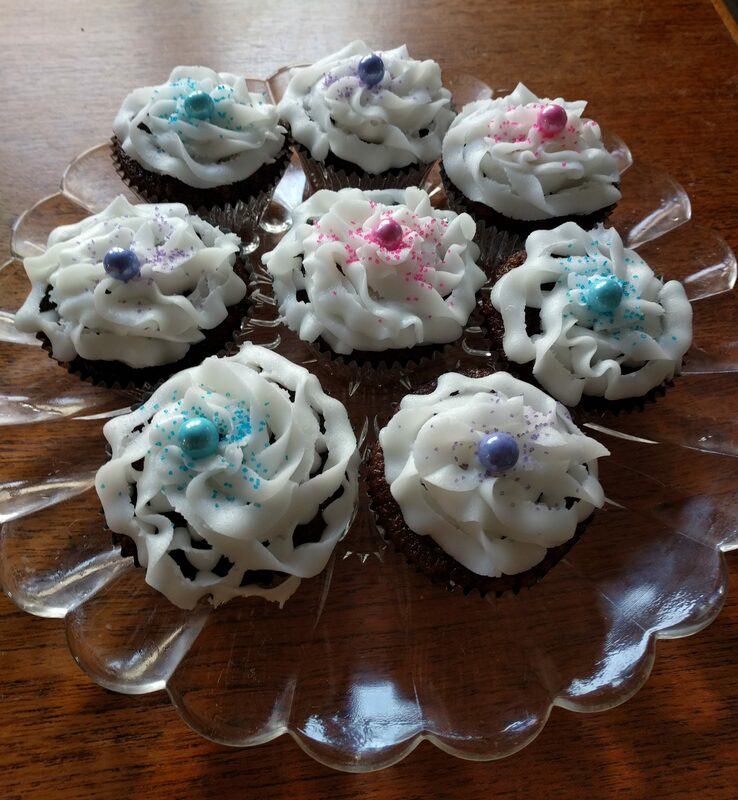 Okay, so I missed the actual day, what with all the chaos of launching Fun with Frosting into the world, but this month marks one year since I signed with my fabulous, amazing agent, Brianne Johnson at Writer’s House. And the occasion has stirred up mixed feelings in me. I mean, on one hand, I am so happy to be out of the querying trenches and able to focus on writing. I’m thrilled to have an advocate for my books, and someone to consult about my career. And, of course, I’m stunned, and excited, and positively flabbergasted to have a book out in stores! I still haven’t sold any of my children’s fiction. And it feels like every other day some well-meaning friend or family member asks me when my next book is coming out. I was having quite the pity party for myself, until I mentioned how I was feeling to my agented writers’ group (my online group spread across the globe, who all got our agents around the same time). That’s when I discovered I’m not alone. Less than a quarter of us have sold books. 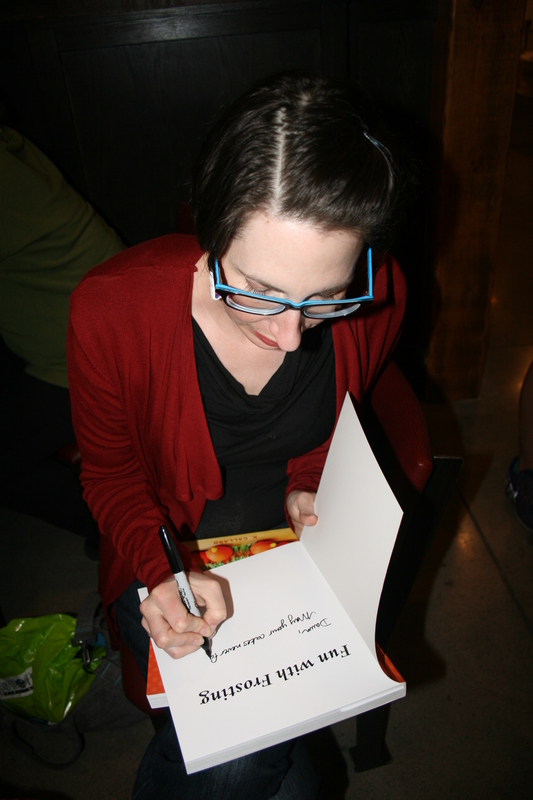 Some have already had to abandon the book their agent signed them for. In fact, I’m the only one of us at this point who has a book out. Getting a book published is hard. The odds really are against you (Click here to see the best post I could find about the actual odds of getting published, by the fabulous Harold Underdown.) And the best way to get there is to keep producing new things to send out to editors. You may not know this, but launching a book can be very stressful. And stress can manifest itself in strange, uncomfortable ways, like seized muscles from holding them tense all the time, loss of appetite or other stomach issues, insomnia, and/or headaches (you know, so I’ve been told). Since you don’t have to be a writer to be stressed (although I’m told it helps :D), I thought I’d share my top stress-busting ideas. Tone down your expectations: I’ve written before about the guilt I feel when I say no, but let’s face it, there are only so many hours in the day, and at least some of them should involve sleeping. So, take a good hard look at what really needs to be done, and cut or outsource anything extraneous. Also, feel free to procrastinate your worrying – as my husband pointed out, there’s no sense stressing over not selling a second book, when you’re still trying to launch the first one. Make lists: If you read this blog, you know I’m a list maker. Having everything laid out with due dates really helps me feel like I’m in control. Take time off: It’s a busy time, but if you can squeeze it in, watch some bad tv, bake, or just do something to take your mind off your work. 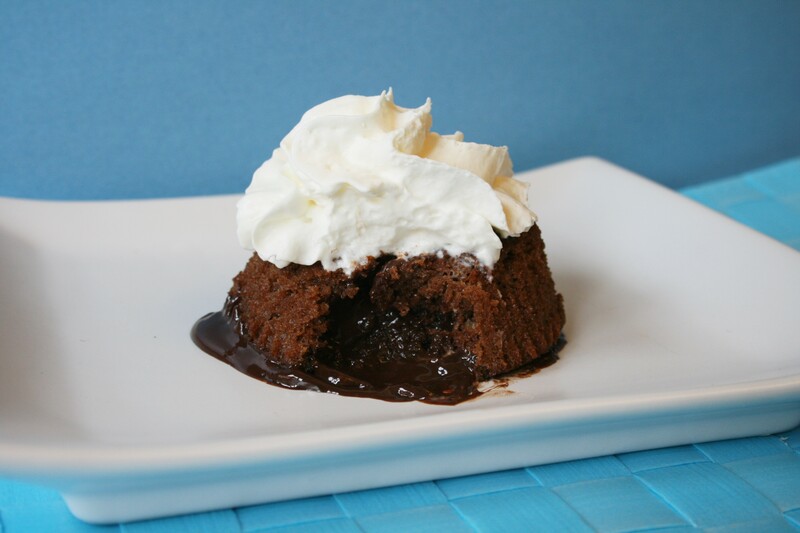 Indulge in a treat: Nothing melts my stress away quite like the hot, gooey, chocolatey goodness of lava cake or fresh-baked brownies – but whatever your treat-of-choice is, ditching your diet and indulging can really calm you down. Do laundry: Okay, this might seem like a strange one, but there’s something about the brainlessness of sorting and folding laundry that lets my brain relax. As an added bonus, clearing away those bins of clean laundry takes another item off your to-do list. Take a bubble bath: pretty self explanatory. This one combines well with #4 (and maybe #6, depending on how you feel about food in the bathroom). Exercise: I’m still limited by my concussion on this one, but breaking a sweat releases endorphins which can help you relax. At the very least, get away from your desk/house, go for a walk, and breathe in the fresh air. (Bonus!) Let it Go: Often times all the stressing in the world won’t change the outcome, so if you can, do your best to fuggedaboutit. Pro tip: if you tend to find yourself panicking at bedtime, keep a notebook by your bed so you can write down to-do lists, then give yourself permission to not stress again until morning. What about you? Do you have any stress-busting techniques I’ve missed? Let me know in the comments. 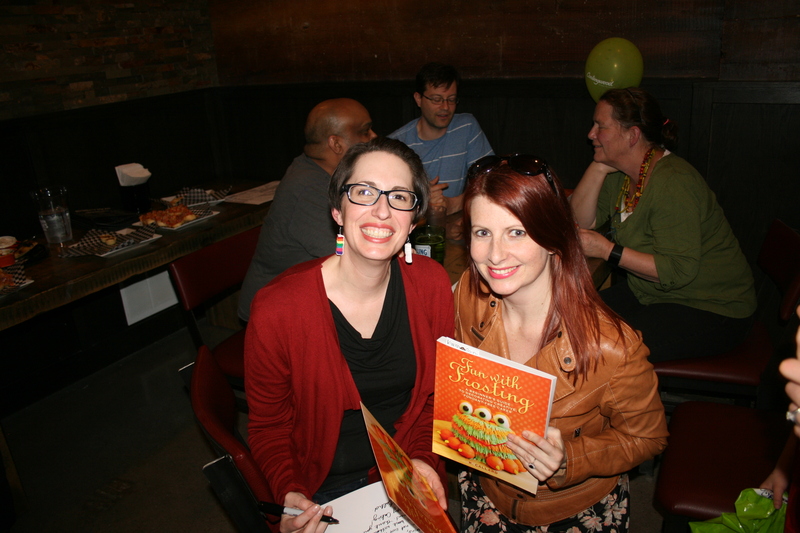 I am happy to report that my book launch party was a roaring success! I had a ton of fun on the day, and I think my guests did, too. I really wanted the event to be kid-friendly, both so my own kids could attend, and so more of my friends could come. To help with that, I sketched out a couple of my cake designs and turned them into coloring pages to keep the kids occupied. It definitely worked, and as a bonus, I got to see how my designs would look in different colors. 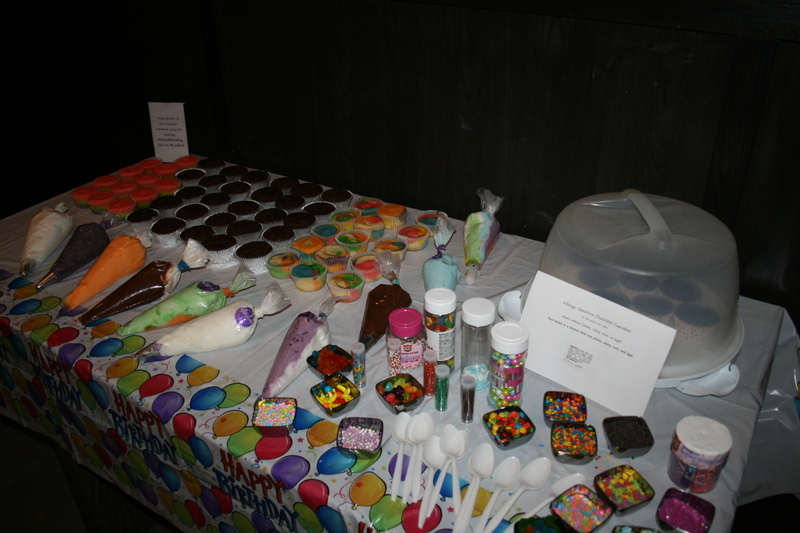 I also thought it would be nice to let people have a little Fun with Frosting themselves, so instead of providing a cake, I set up a decorate-your-own-cupcake bar that was for sure the hit of the day. After a quick demo at the start, I let everyone loose at the table, and much joy ensued. 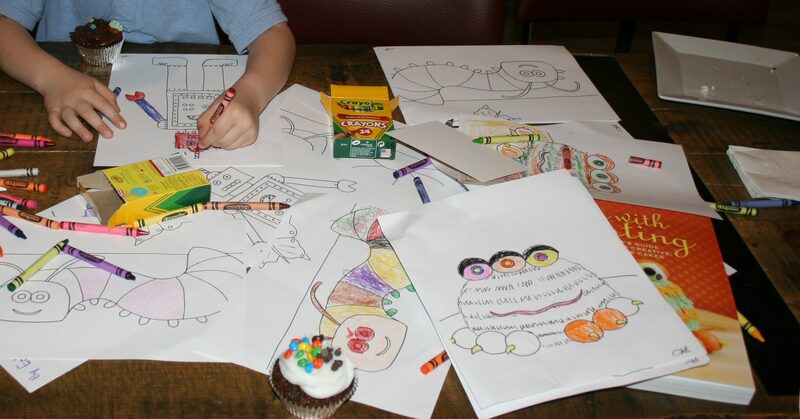 In fact, my own kids had so much fun they went around volunteering to decorate cupcakes for the adults. It was a great day, and I’d like to give a huge thanks to everyone who came out and supported me! And now, I think I’m going to sleep for a week. 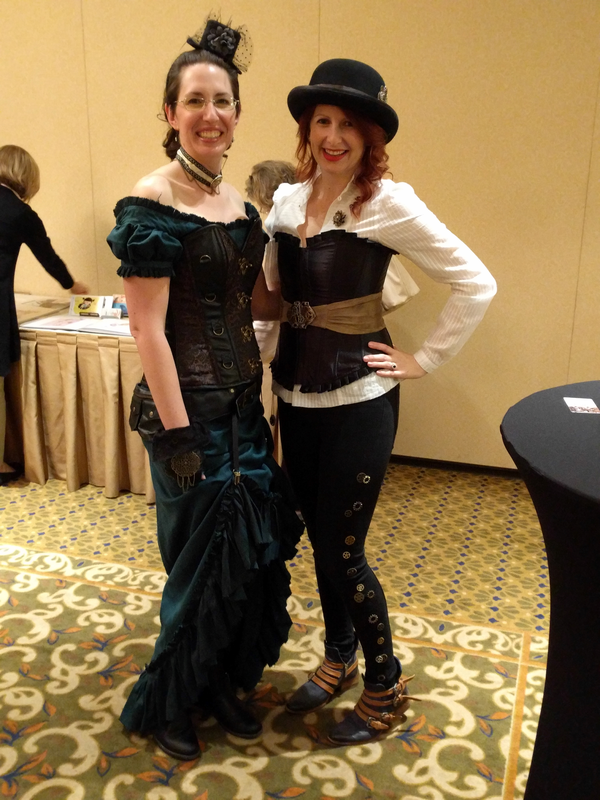 It all started with a Steampunk-themed party Friday night. Since the main character in my YA work-in-progress does some steampunk cosplaying, I went all out with my costume to help get into her shoes. I think my design is a little more Wild West than Victorian, so there may be more revisions in my future – for my costume and my novel. Saturday morning the fabulous Helaine Becker spoke on the business of writing – with a lot of stress on the importance of following up (if you’ve read my agent story, you know how following up helped me). 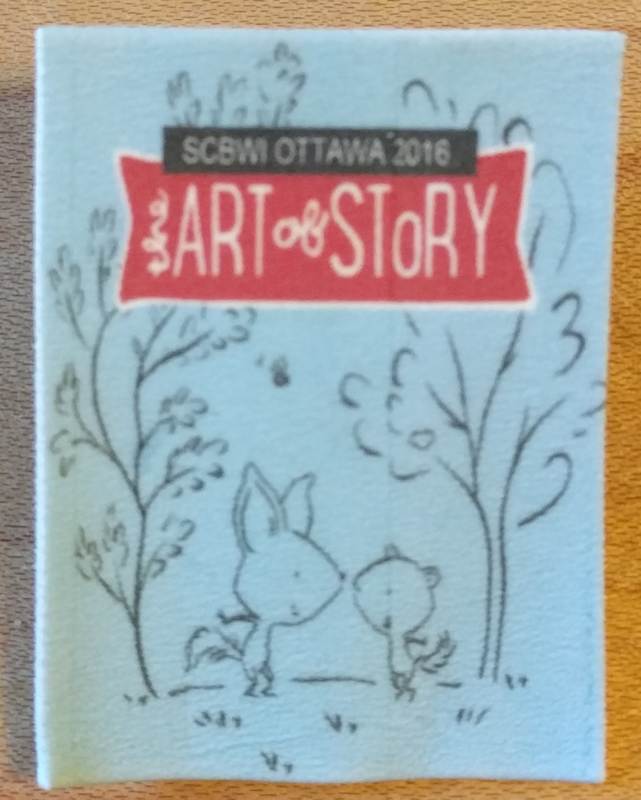 I elected to take the novel track of the conference – although, as with every year, I wish I could have cloned myself and also attended the Picture Book workshop. Alex Arnold of Katherine Tegan Books filled us in on the importance of establishing stakes in a novel, while Grace Kendall of Farrar, Straus, Giroux gave a great talk on building and displaying character through other people’s actions/dialogue. After lunch, Jennie Dunham of Dunham Literary Inc helped us decode the language of rejection letters, and Tim Wynne-Jones showed us his ten questions to ask of a novel revision – perfect timing for me, since that’s what I’m working on these days. Sunday began with the Crystal Kite presentation to Karen Krossing for her novel Bog – the chapter she read was so good, I can’t wait to get my hands on a copy. Afterward the agents and editors gave us their first impressions on first pages and pitches submitted anonymously, and then answered a whole bunch of our questions. My personal highlights were witnessing a young boy (not with the conference, but a random guest at the hotel) convince his mother to buy a copy of Fun with Frosting, and then signing it for them (when I left he was begging her to let him take it to school!) 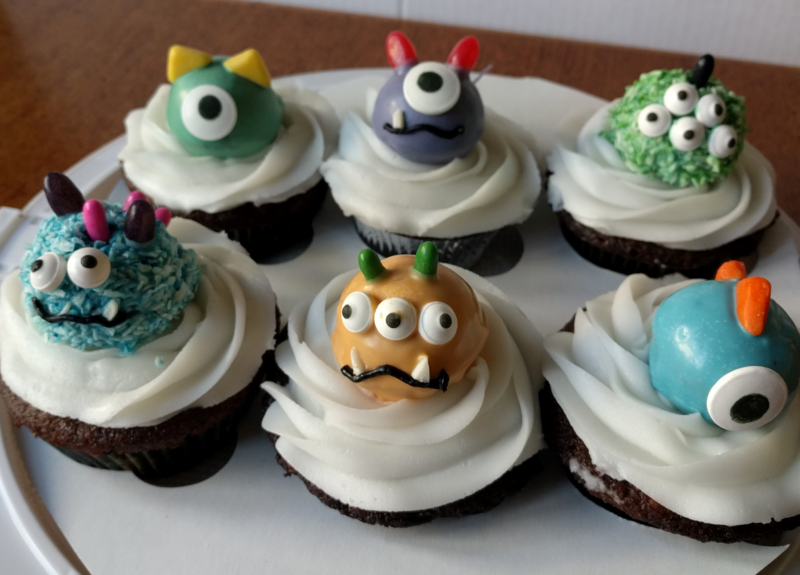 And seeing the 6 cupcakes I donated to the auction (to raise money for a bursary for next year’s conference) go for a whopping $25 (!). Maybe I should be opening a bakery, instead of writing books. All in all, I had an amazing time, learned a lot, met some fabulous, talented people (and re-connected with lots more). If you’ve never been to a conference, I really can’t recommend them enough. I’m already looking forward to next year’s. Maybe I’ll see you there.